Earlier this week I received a flyer and an announcement from the Chicago Public School Parent Advisory Committee (for Cluster 1 and 3 NCLB Title I) about a workshop. It sounded interesting and potentially informative. However, it was being held about an hour outside the city and it cost a few hundred dollars. The costs were reimbursable with NCLB Title I funds for parent involvement. But the problem with using funds for this type of event is that such a small percentage of parents benefit from such an inconvenient workshop. In other words, it isn’t actually supporting parents. In this week’s PAC meeting for Cluster 1 it was made clear why they have this workshop: the PAC’s had left over money for the fiscal year and all six of the PAC’s had to spend the money before the end of the budget year. Why? Because if they don’t use all of the allocated Title I funds they can’t ask for a larger budget the following fiscal year. The fact that these cluster PAC’s were spending their money on another workshop is indicative of the services and products available to them (from all accounts, the majority of money is spent on workshops, conferences and food). I would also argue that it is indicative of the nature of parent involvement. In the first case, these parents are not presented with a range of vendors who have products that are easily scalable. Which is to say, PAC’s don’t have a lot of options from vendors for products or services that are made easily accessible to ALL of a district’s parents. Not all parents of the 400,000+ Chicago Public School students benefit from the food served at these meetings or from the conferences and workshops that these PAC’s host. In fact, the percentage of parents who do benefit is less than 1%. In the second case, parent involvement funds are deployed by those parents who are actually involved in the decision-making process. Parents who cannot attend the 10:00 a.m. meetings or who cannot travel an hour out of town on a Thursday are out of sight, out of mind and left out of NCLB Title I funds and programming. When you attend PAC meetings throughout the Chicago Public School district you get to see many of the vendors who are promoting their businesses and services. There are three types of vendors: Workshop vendors, Fundraising vendors, Food vendors. A fourth type might include Miscellaneous vendor – a business or service that has an offering outside of the three primary vendors. The point here is that parents are not presented with enough options. There are not enough support services and support products being made available to parents who’s children are in Title I schools. There is no shortage of parent passion when it comes to trying to help create a great school. In fact, I regularly see and hear about parents who are trying to be involved in their child’s development, but who are often rebuffed by school bureaucracy or by their own lack of access to resources or know-how. What, then, is the answer to this riddle: Funds are available, parents are interested, schools need parents to be supportive of their children, yet there is a disconnect. Pocket Literacy Coach works hard to be a resource to help parents. What other resources are out there? How do you get involved? More importantly – and this should be the role of every PAC parent-representative – how do the involved parents bring in resources to help support the other, un-involved parents? Because, at least in the case of PAC’s, this is what parent representativesshould be doing: working and leading to support the whole. 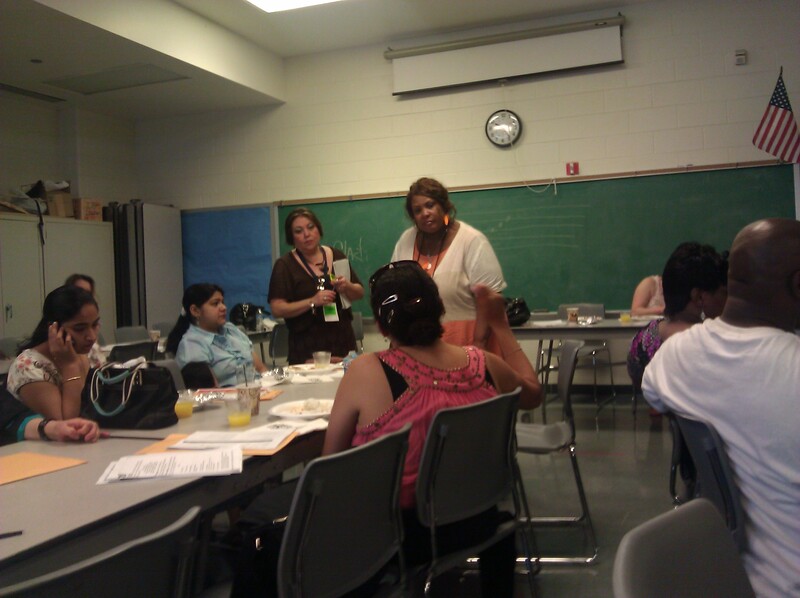 To recap: Parents who are involved must act as leaders for other parents. They must make responsible decisions that will benefit as many parents and families as possible. Even more importantly, PAC’s and parents need to be presented with viable options for being supported. Workshops are great…for a few hundred parents, but not for 400,000 parents! Vendors, community members, education advocates and leaders – we need to step up!